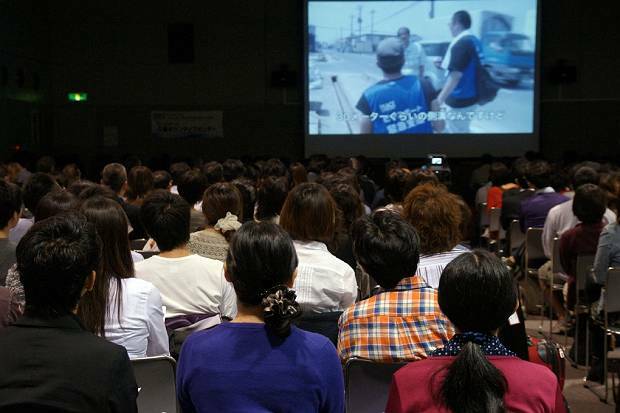 On October 13 the “Report on emergency relief efforts 7 months on from March 11 – ‘Creating a system to utilize volunteers’” report session was held at the JICA Global Plaza in Hiroo, Tokyo. 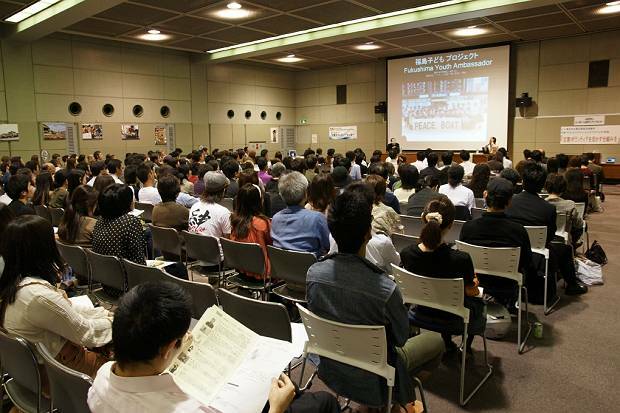 Many guests attended the event including people who came all the way from Ishinomaki. This report covers the report session which included information from the mid-term report. Approximately 500 people including, including representatives of media organisations, embassies and corporations, attended the event at the JICA Global Plaza. Many of the individual participants were people who had experience as volunteers in Ishinomaki and there were joyful reunions here and there prior to the commencement of the event. At the beginning of the event, Yamamoto Takashi, head of the Peace Boat Disaster Relief Volunteer Center, greeted the audience. 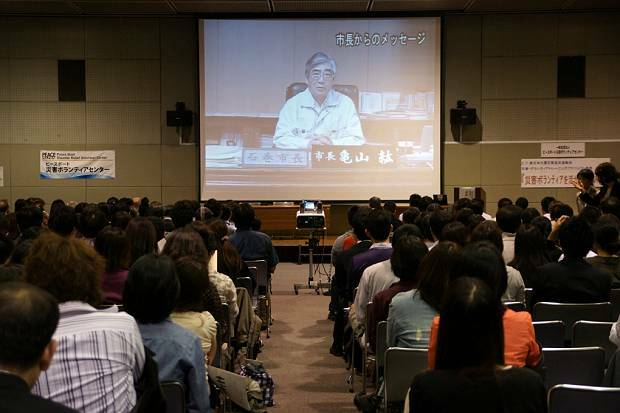 A video message from the mayor of Ishinomaki Mr Kameyama Hiroshi was also screened. 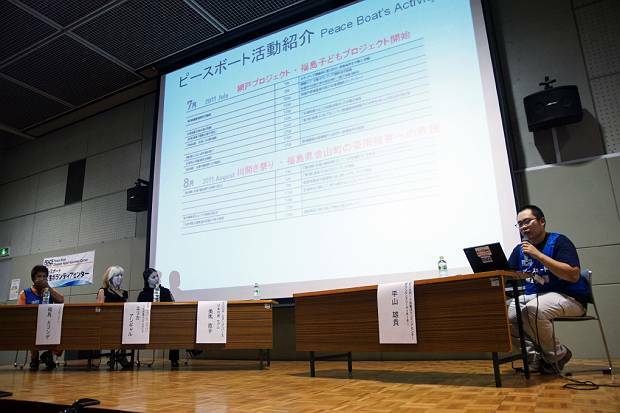 During the first part of the event, Mr Ito Hideki, Chair of the Ishinomaki Disaster Recovery Assistance Council (IDRAC), talked about the lead-up to being able to accept individual volunteers soon after the disaster, and the role Peace Boat played in arranging for many organizations and individuals to volunteer in Ishinomaki. Hirayama Yuuki, Volunteer Coordinator (on right), explains the chronology of Peace Boat’s activities in Ishinomaki. 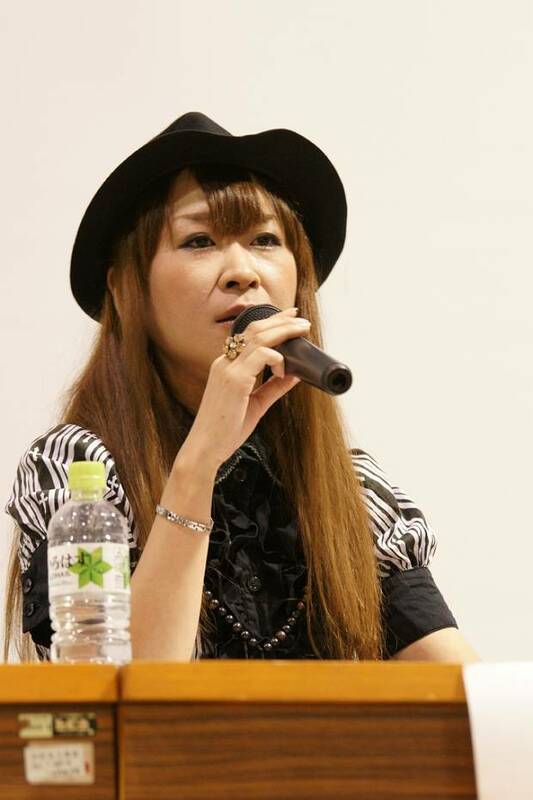 Musician SUGIZO was planning to join this panel, however due to scheduling difficulties instead shared a message that was read out to all. Ms Mima was searching for a group she could volunteer with in the disaster affected areas, and Erica shared information with her about Peace Boat. Ms Mima has now volunteered in Ishinomaki twice. She shared photographs of their activities, and told of her participation in pool cleaning efforts. “Each time I visit Ishinomaki, I receive so much energy and spirit from the local people,” she said. The next part of the night’s programme included a screening of the documentary film, “A Step Towards Recovery: The Bond between Volunteers and Survivors.” Created by Funnypro in cooperation with Church World Service, this film follows Volunteer Coordinator Hirayama Yuuki and features interviews with local survivors and volunteer leaders, closely showing the joint activities until now. This was the premiere screening, and so the first time not only for the audience but also for most staff to view the film. 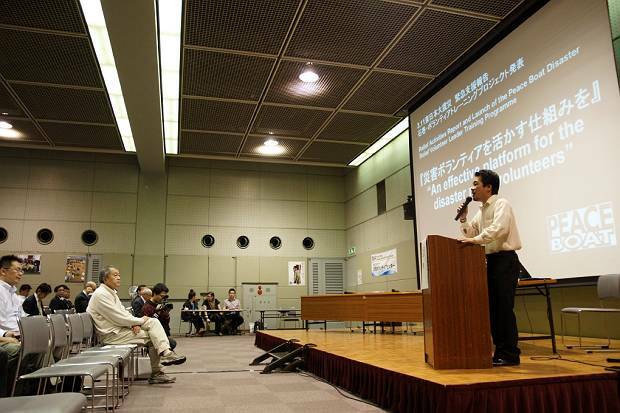 The next segment of the programme featured Matsumura Gota, of the ISHINOMAKI 2.0 Organising Committee. Together with Mr Ito, Mr Matsumura travelled all the way from Ishinomaki. Activities organised together with ISHINOMAKI 2.0 and Peace Boat have been featured many times in this blog previously. 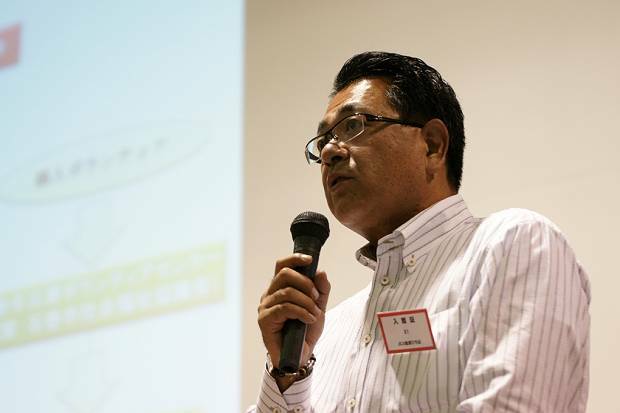 “As a citizen of Ishinomaki, I don’t want to make the city just return to how it was, but want to create a reborn, new, even better city,” he said. “Of course volunteering is important, but it is also just as meaningful for people even to come to see Ishinomaki, which was the site of such a historic disaster. At that time, please use many of the facilities and projects we are making!” says Mr Matsumura, introducing the “Recovery Accommodation Project” and other activities which support local businesses. 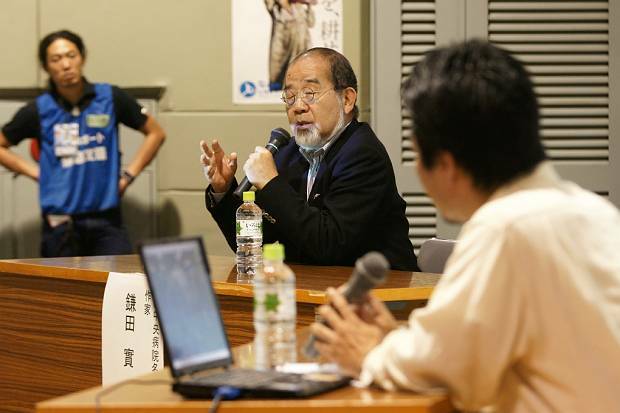 Next was a panel discussion between Honorary Director of the Suwa Central Hospital and Author Dr Kamata Minoru and Peace Boat’s Yamamoto Takashi, leading into the second half of the night’s proceedings. 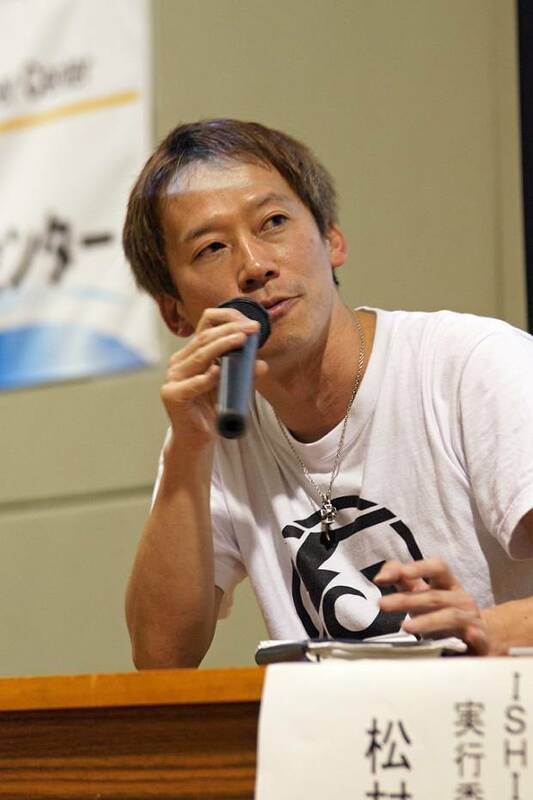 Following this was another guest talk, with Peace Boat staff member Kobayashi Shingo – who has also been in Ishinomaki since mid-March – MCing. Four guests joined this panel sharing various challenges and issues as seen from their own fields of expertise. Having worked with many different groups since the disaster, Sarajean Rossitto (Adviser, Japan Earthquake and Tsunami Fund, Give2 Asia) shared her analysis of considerations which should be taken into account regarding grants and donations. 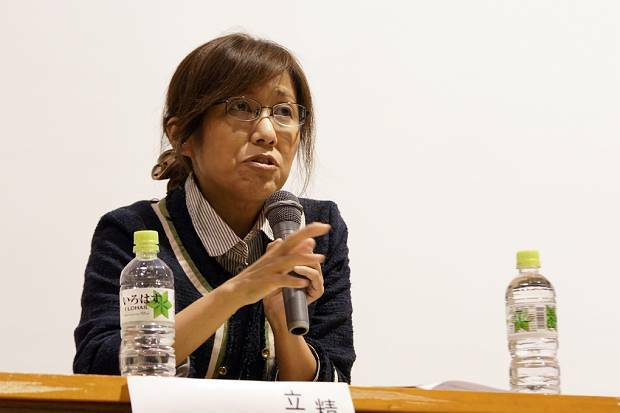 Author Amamiya Karin spoke of the issues facing survivors who are not necessarily in the affected areas still, but also those who have evacuated to outside of their prefecture, including legal consultations and so on. 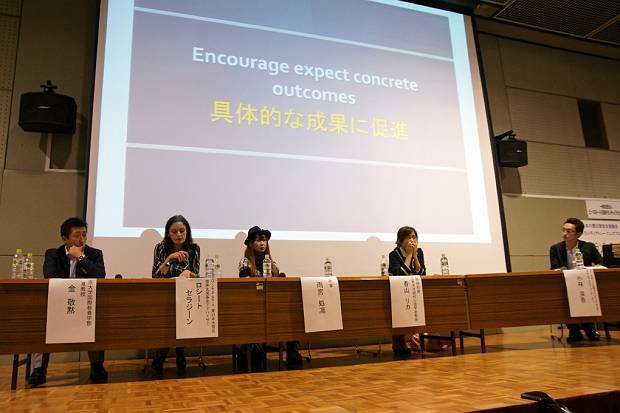 Psychiatrist Kayama Rika talked of the need for mental care and support for volunteers, many of whom may suffer from various difficulties upon returning to their everyday lives. 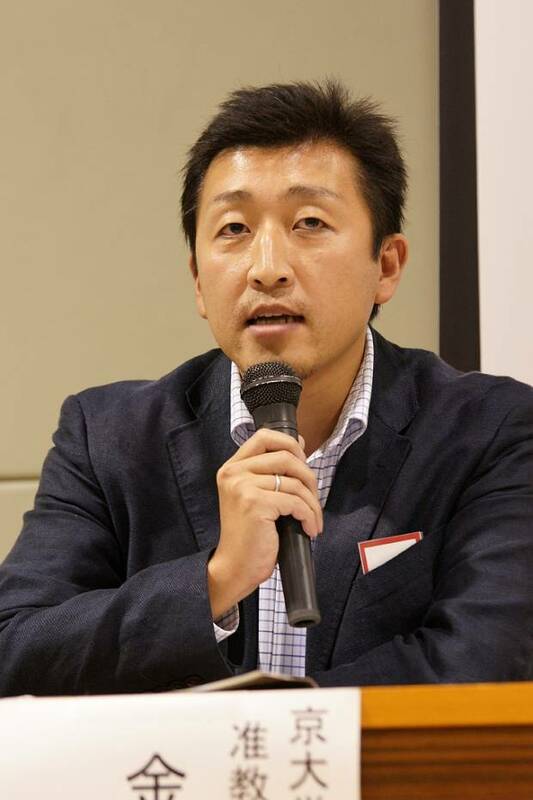 Kim Kyungmook, Associate Professor at Chukyo University, spoke of the role of academic institutions, as well as the need for a certain kind of expertise in coordination needed for Peace Boat leaders, and different skills and categories of volunteers. 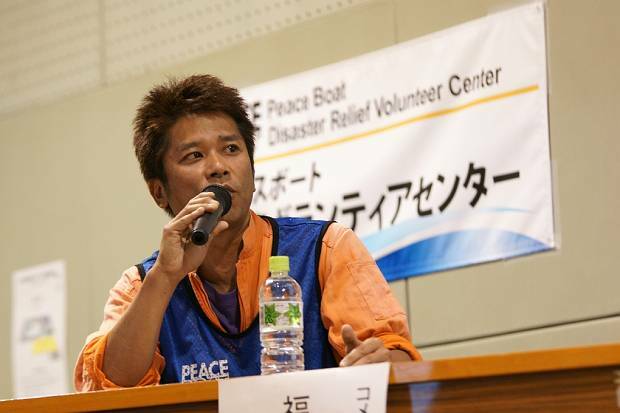 Finally, Kobayashi Shingo announced Peace Boat’s new Disaster Volunteer Leader Training programme. This programme aims to provide capacity building in order to build a network of volunteers with the skills to act in the case of a future disaster. In the aftermath of the Hanshin Awaji Earthquake and this year’s Great East Japan Earthquake and Tsunami, the lack of skilled “leaders” of volunteers came to the fore, and so this programme aims to prevent such difficulties in the future, thus mitigating the effects of potential disasters. For details about this programme please see here. Yamamoto Takashi took to the stage as the event closed, to express thanks to all those who have been involved in the relief and recovery efforts to date. 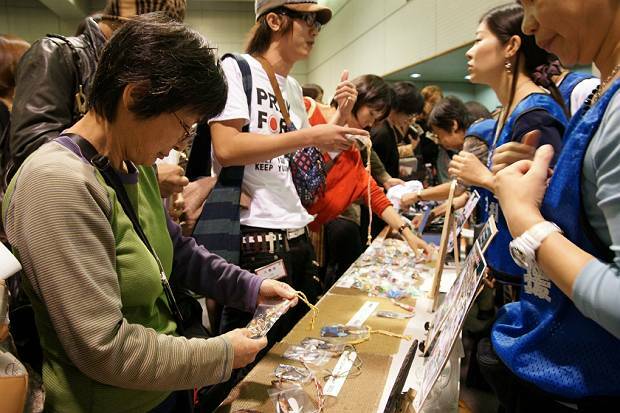 Booths were set up at the venue for participants to purchase items such as the Konoya Cans of Hope, handmade Ogatsu Stone accessories, and more. Many of the volunteers left the venue with these “souvenirs” symbolising the strong, warm links between their makers, sellers and buyers, emphasing anew the strong links between people connected to Ishinomaki. Let’s all continue to “ganbappe” (work together) for recovery!